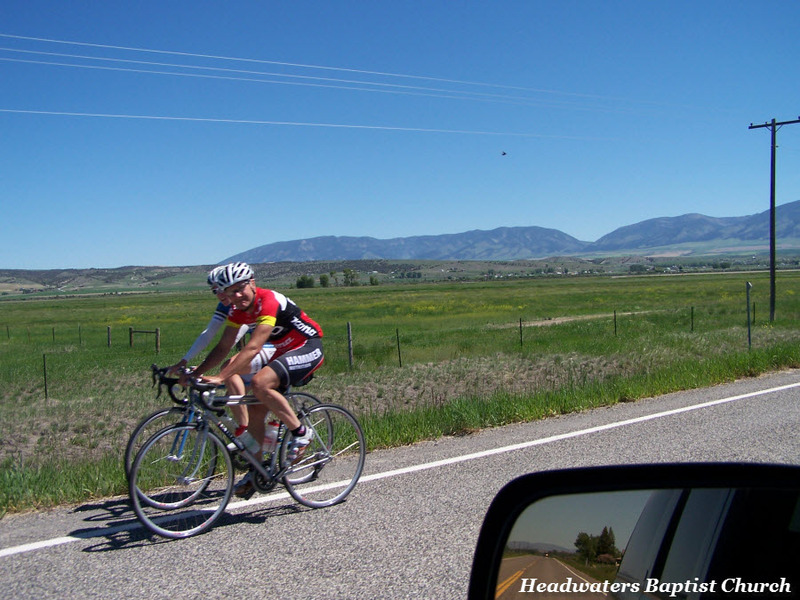 Our Around Town in Manhattan, MT article focused on the town of Manhattan. Now we would like to share with you some of the sites as you venture outside of town. Manhattan is situated right on route I-90 with Three Forks MT to the West and Belgrade MT to the east. This photo was taken just outside of town on Dry Creek Road. 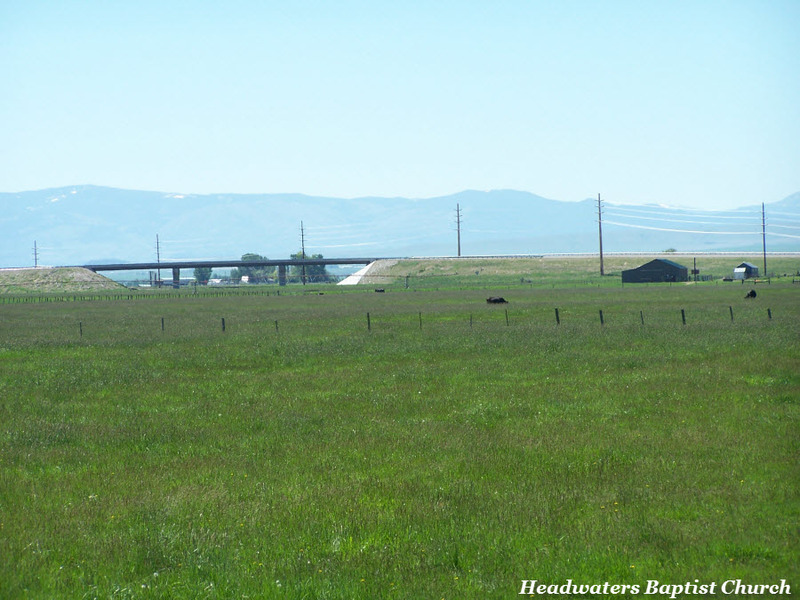 We can see I-90 overpass and the Bridger Mountains in the distance. The wide fields surrounding the town give a feel of country. If we got on the interstate and headed west about 8 miles you will come to Three Forks Montana. 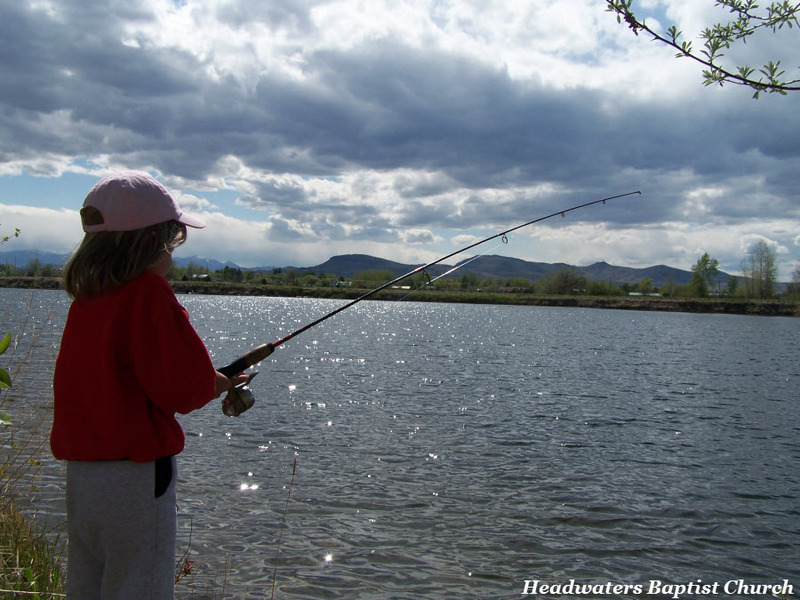 One of our favorite places is the Three Forks Ponds. These are three large fishing ponds. 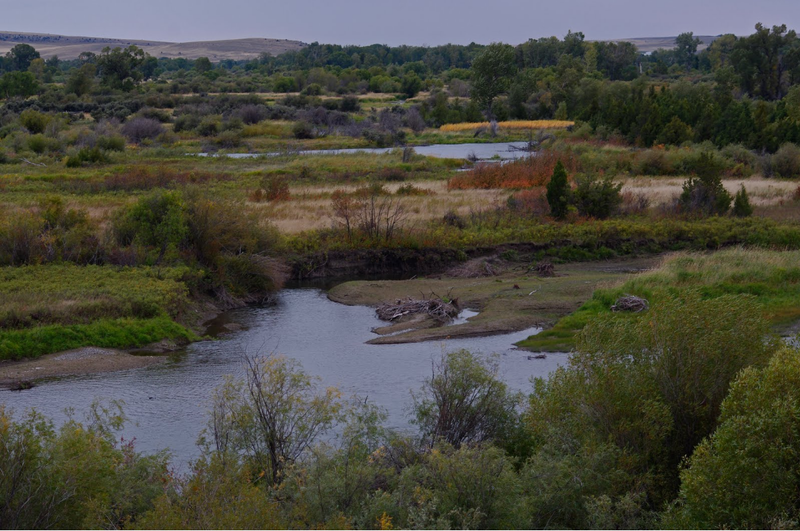 These ponds are on the very edge of town and are part of the Missouri Headwaters State Park. Here at the park the Madison River, Jefferson River, and Gallatin River meet to form the Missouri River. This confluence is even mentioned in the Lewis and Clark Expedition journals. Headwaters Park has several miles of paved bike and walking trails, the three fishing ponds, visitor center, picnic areas, and even grave sites of children who died when the wagon trains passed this way. 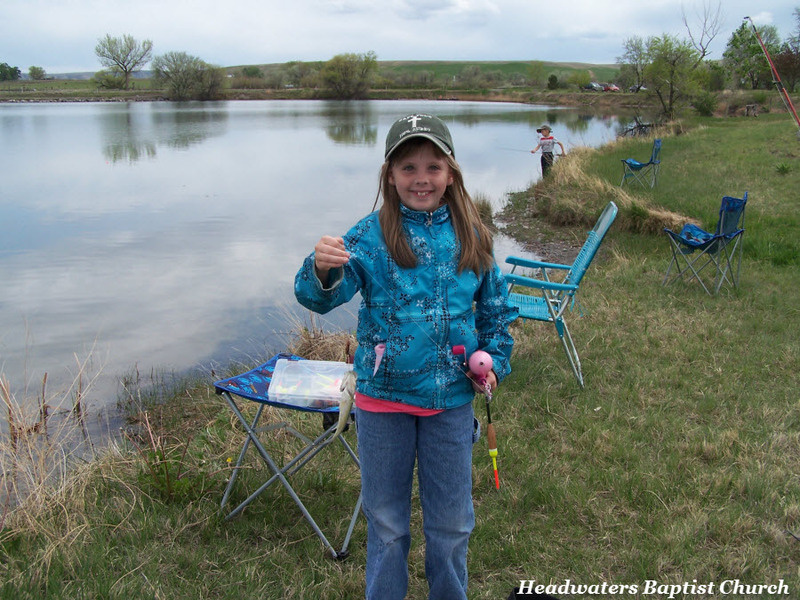 Here we see one of our Sunday School girls with her prize she caught at our Memorial Day church picnic. 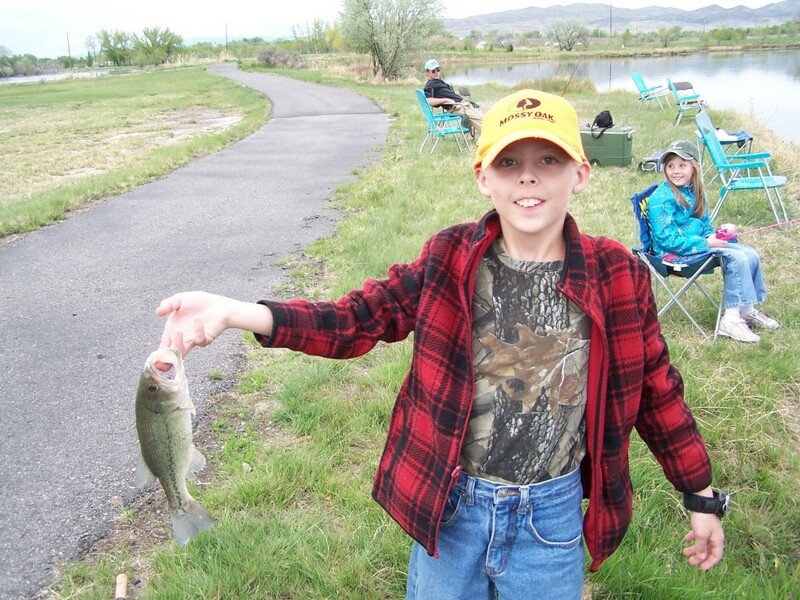 Here is our son with his large mouth bass. Starting in Manhattan once again, if you go towards the east you would travel out of town on Dry Creek Road. Wide grass fields with lots of horses and cows can be seen. 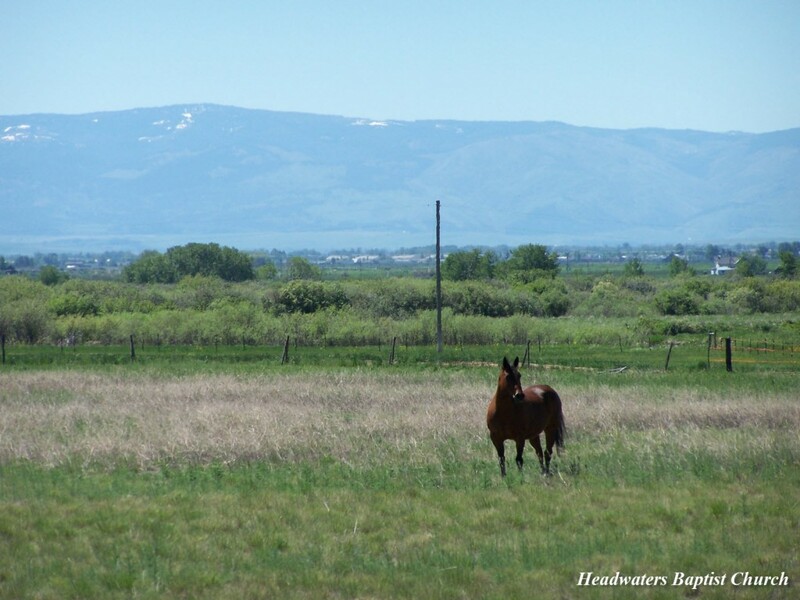 This horse posed for us on a Sunday morning with the Bridger Mountains in the background. To the north side of Dry Creek Road as you head towards Belgrade you will see the Horseshoe Hills. These are foothills before the valley sweeps up to meet the surrounding Bridger Mountains. 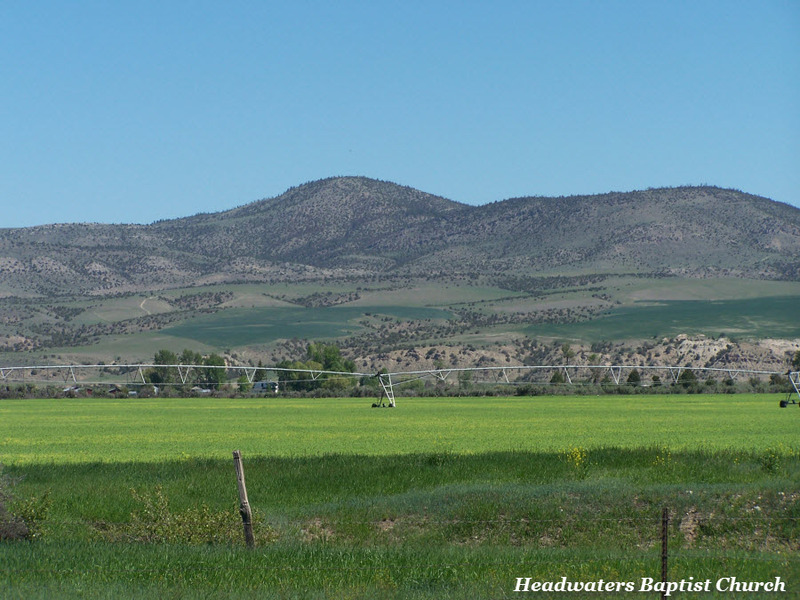 Due to the dryness in summer most of the farm fields are irrigated. 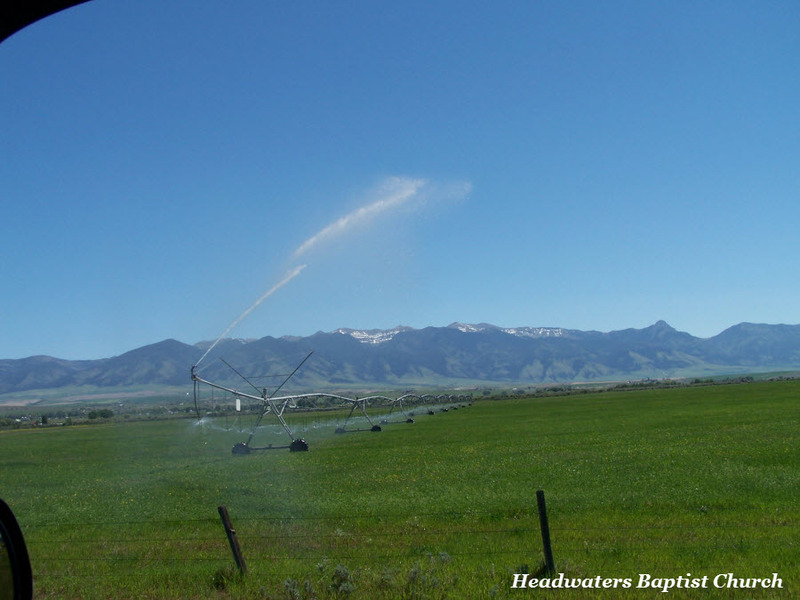 This irrigation set up is called a Pivot and is commonly seen in Montana. Here we see a pivot spraying the fields. Snow can still be see on the peaks. 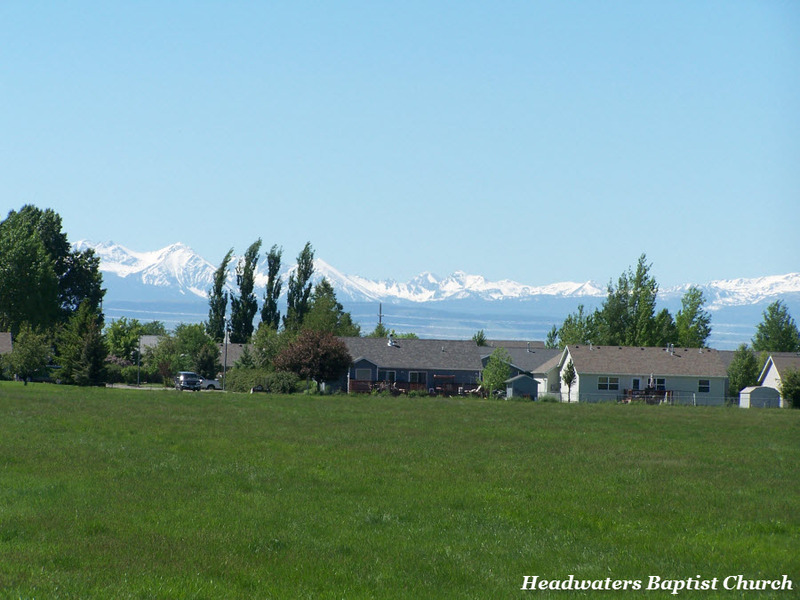 The highest peak in the right of the photo is Ross Peak in the Bridger Mountains. Lots and lots of bikers can been seen riding the back roads and side roads. These two are out in the morning enjoying the sunshine. This photo was taken just past the school crossing sign on the edge of town. The mountains are so dramatic with the snow covered peaks. Of the three towns, Belgrade, Three Forks, and Manhattan, Manhattan is our favorite. Belgrade is the largest. Three Forks is probably the smallest of the three. Nestled in a quite corner of the world, we call Manhattan home.